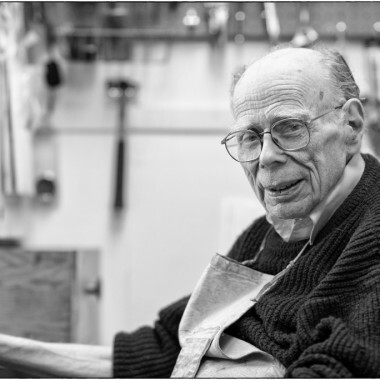 Bob Montgomery, recently passed away at 96, had been repairing typewriters for decades. Paul Lundy purchased the business and may be the last left in the area with a business devoted only to these machines. 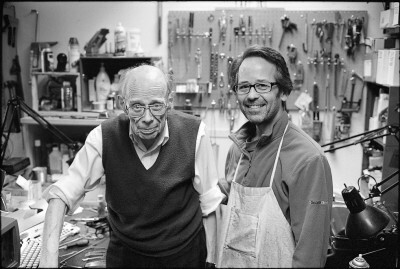 Montgomery was 7 or 8 when he began going to his dad’s shop in downtown Seattle, changing ribbons, learning to repair the machines. 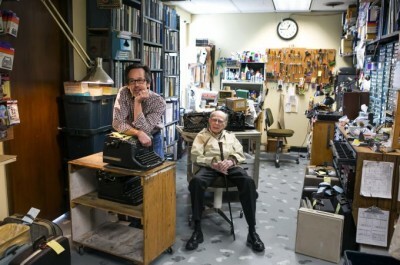 That’s 85-some years of typewriters. Paul is the latest convert to typo-mania and is dedicated to the craft. In the Puget Sound area, The Bremerton Office Machine Co. is the last company whose full-time business is repairing typewriters. A customer even created a YouTube video! Angelica Santos won best documentary at her high school for which Montgomery is featured. Funny, the shop really does not look that much different; just me at the bench instead of Bob! Paul is dedicated to learning all about the craft of vintage office machine repair and service. It turns out, he is just as fanatical about the darn machines as Mr. Montgomery. Paul purchased the business in 2014 so you can rely on consistent repair and service for years to come. Paul posts the web site updates and enjoys the art of learning the trade.